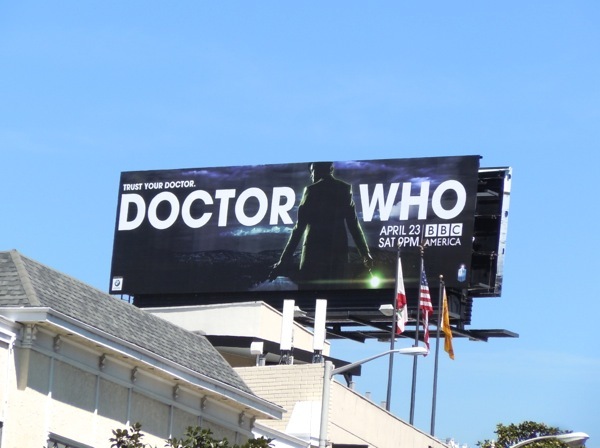 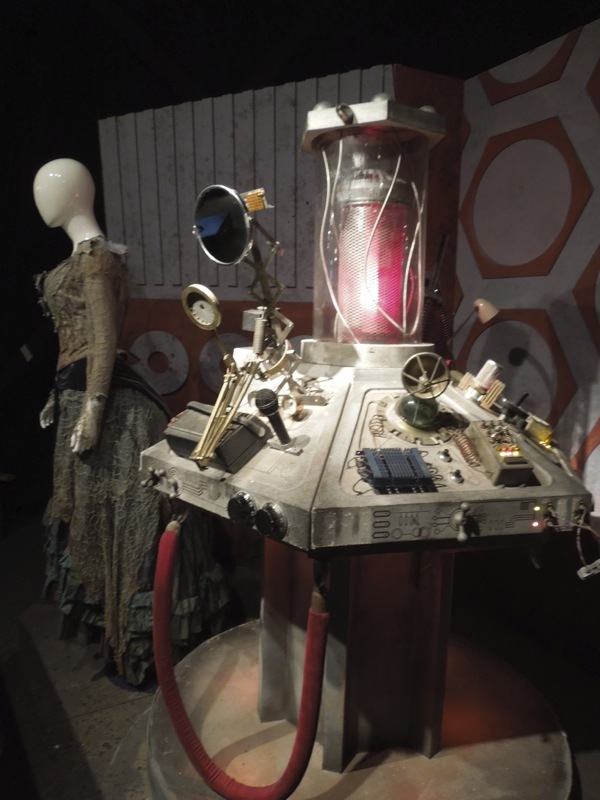 In the fourth episode of of the sixth season of Doctor Who penned by Neil Gaiman, the matrix of the Doctor's TARDIS is removed and finds itself implanted within the body of a woman called 'Idris'. 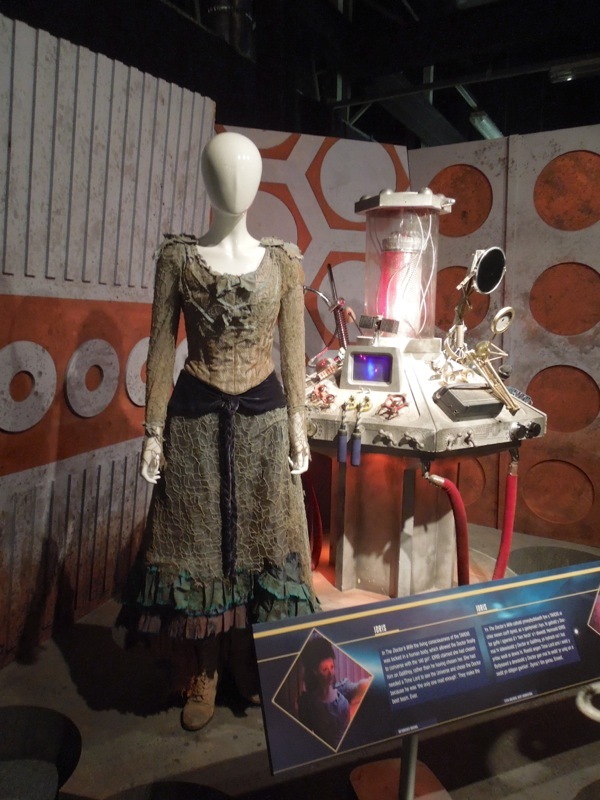 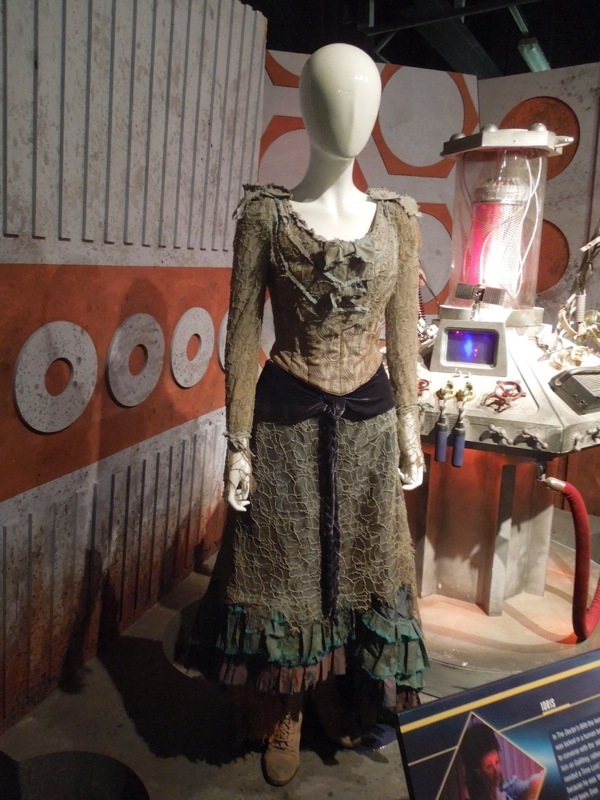 Former Coronation Street soap actress Suranne Jones played the TARDIS in human form and her costume and the makeshift TARDIS console from The Doctor's Wife episode were photographed on display at the Doctor Who Experience in Cardiff Bay on May 20, 2013. 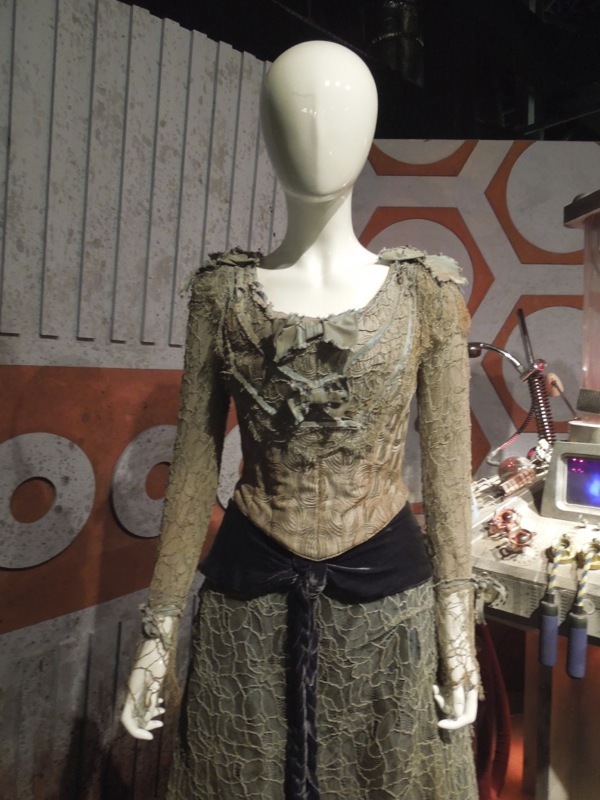 I believe that Barbara Kidd was Costume Designer on this Doctor Who episode and responsible for the screen look of 'Idris'. 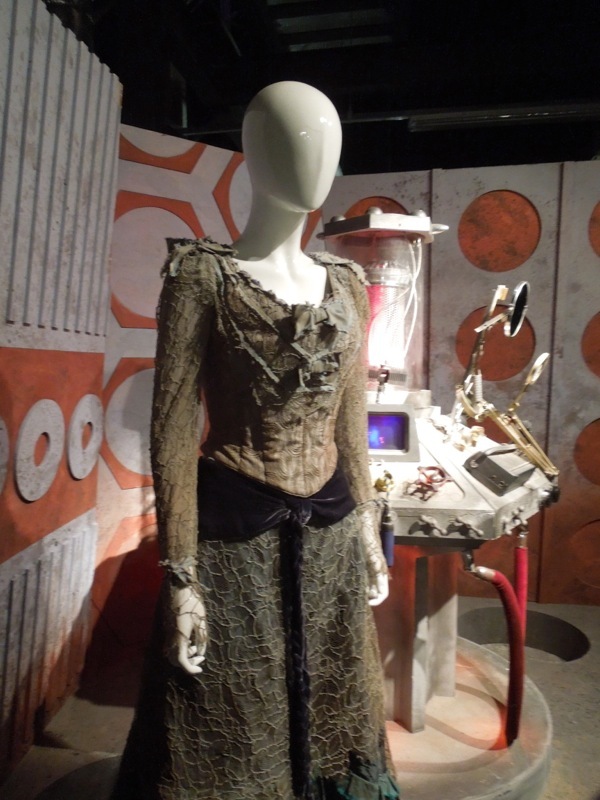 In this 2011 episode the alien time-traveller and his Companions, Amy and Rory, are lured to a junkyard asteroid outside the universe by a fake distress call from the Doctor's extinct Time Lord race. 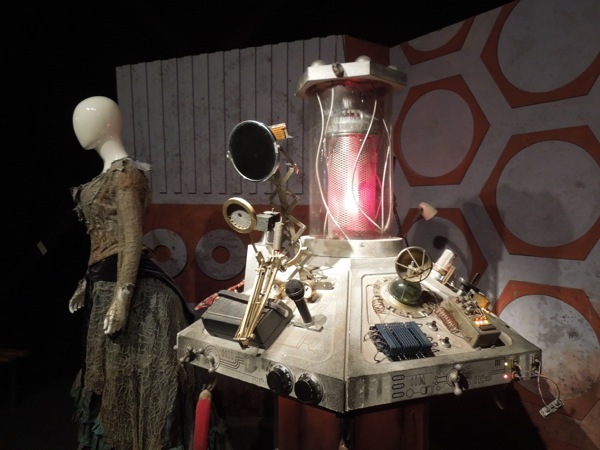 The malevolent entity called the 'House' wants to harvest the energy of the TARDIS (Time and Relative Dimension in Space) bioship, but inhabiting the form of Idris the sentient TARDIS matrix helps the Eleventh Doctor build a junk TARDIS console from scraps to escape. 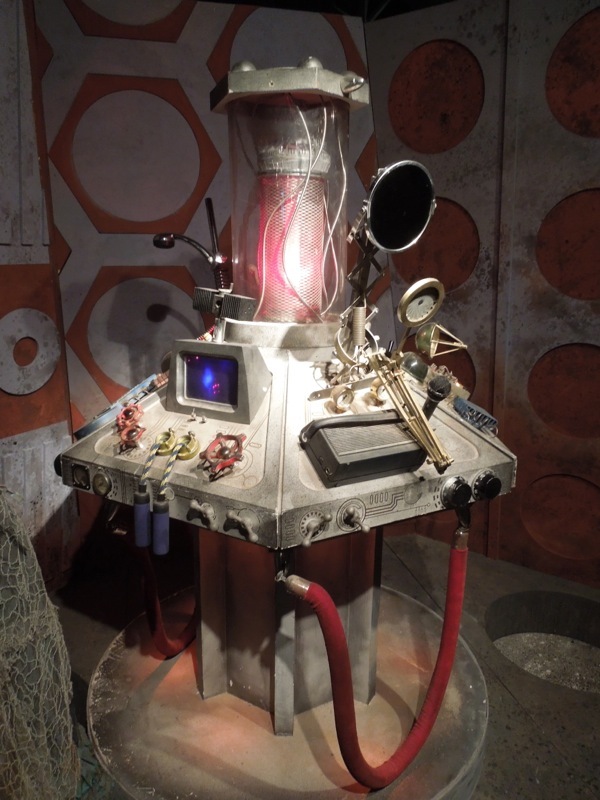 The look of this junk TARDIS control console was actually the result of BBC children's programme Blue Peter's 'Design a TARDIS console' contest and 12-year-old Susannah Leah saw her ideas become reality in this episode (with the help of the Doctor Who production department no doubt).